Do you have children or are you looking to start a family? Our apartments near Lake Nona schools offer the perfect space to raise and educate your children. Our pet-friendly rental community features 1, 2 & 3 bedroom apartments and 3-bedroom luxury townhomes served by the Orange County Public Schools district. Dwell Nona Place boasts spacious floorplans, a resident pool beach area, and walking trails within the community. Located in the 10th largest school district in the country and the fourth largest in Florida, our apartments are located near 188 schools, serving more than 200,000 students. The second largest employer in Central Florida, the Orange County Public Schools district employs about 23,000 team members. With more than 200 countries represented and approximately 167 languages spoken, your children will be exposed to rich cultural immersion in addition to a well-rounded education system. The district’s 2015-2016 graduation rate reached an all-time high of 92.2 percent among its 19 area high schools. Additionally, our apartments near Lake Nona schools benefit from the Lake Nona Education Initiative, which ensures learning opportunities are available to residents from early childhood to PhD. A “Collaborative Learning Environment,” the Lake Nona Education Initiative is designed to give students the ability to engage in real-time interactions with researchers, doctors, professors and businesses within Lake Nona and around the world. 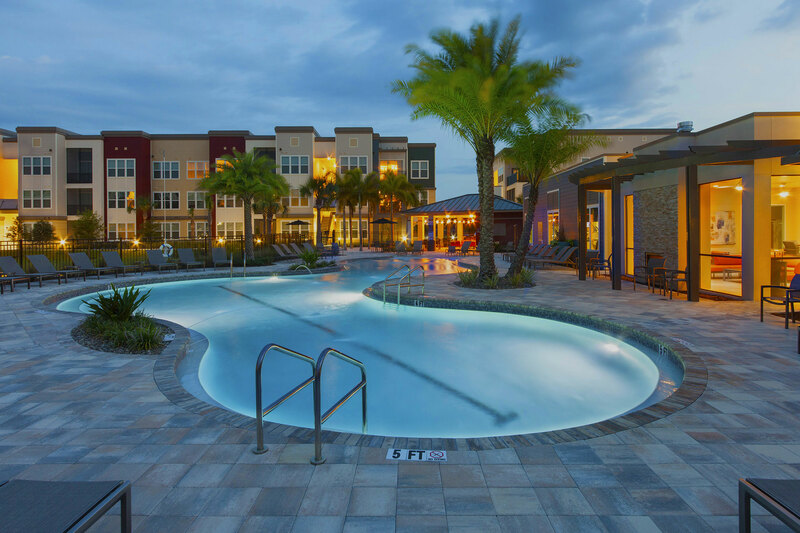 Dwell Nona Place is centrally located in Southeast Orlando near Route 417, providing easy commutes and access to quick trips around Central Florida, including Metropolitan Orlando, Tampa Bay, Kissimmee, and Daytona Beach. Use that special vacation time and make family memories that will last forever! Choose an area where your kids will love to learn. Call us today to find out more about our Lake Nona apartments and discover your family’s next home!